Five former police officers at the centre of a murder inquiry which led to an innocent man being jailed for 25 years will not be prosecuted. Robert Brown, from Glasgow, was 19 when he was jailed for life in 1977 for the murder of Annie Walsh, 51. The former Greater Manchester Police officers were investigated over concerns about their conduct in the investigation and trial. However, a complaints watchdog found insufficient evidence of misconduct. The officers were investigated by the Independent Police Complaints Commission (IPCC), which succeeded the Police Complaints Authority (PCA) on 1 April. The IPCC said it possessed a "much wider range of powers" than its predecessor, but that there was no prospect of it undertaking a fresh investigation. A spokesman for the IPCC said: "We have conducted our investigation and find that there is insufficient evidence to consider any misconduct action against any remaining serving officer connected to Robert Brown's case. "The IPCC has a much wider range of powers. But it's a closed door for any case which has been undertaken and concluded by the PCA. There's no possibility of it being reopened." Five police officers were interviewed as a result of an appeal which saw Mr Brown's conviction quashed almost two years ago. They are all retired and would, therefore, not be liable to disciplinary action under the police discipline code, but could have faced proceedings had the review uncovered criminal behaviour. Two other officers involved in the original murder investigation have since died. Mr Brown feels he has been let down by the justice system. He told BBC Scotland: "I did think I could get on my feet and fight these people with the truth and let the truth be revealed and let justice prevail. "But that's not going to happen. I've been let down and I'm disappointed but that's par for the course with miscarriages of justice. "People like me learn to cope with it the best way we can because we know that there's no truth and justice out there." Investigative journalist, Eamon O'Neill, who has long campaigned for Mr Brown, said officials had just added insult to injury with their decision. He said: "He's been left in a terrible predicament. "While he's out, the policemen who caused this whole miscarriage of justice are not behind bars, no-one has apologised and he now has been told he cannot ever pursue a prosecution against any of those policemen." Mr Brown was jailed for the murder of Annie Walsh in 1977, who was bludgeoned to death in her home in the Hulme area of Manchester the same year. 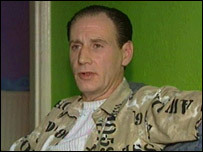 He was released in November 2002 after having his conviction quashed on appeal by three judges in London who ruled that the verdict could not be considered "safe". He would have been eligible for parole 10 years earlier, but instead maintained his innocence, claiming he had been bullied into signing a false confession. 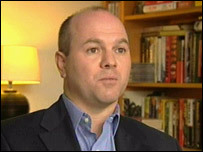 The Court of Appeal heard of a "conspiracy of corruption" within Greater Manchester Police and that one of the police officers central to the case, former Detective Chief Inspector Jack Butler, was "deeply corrupt". He was jailed in 1983 for four years for corruption and conspiracy to pervert the course of justice between 1973 and 1975. 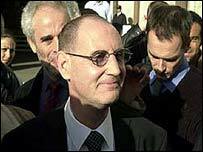 Mr Brown met bosses at the PCA in June 2003 to call for an independent inquiry into his case. He claimed at the time he was not happy about the review, as "the police should not be investigating the police".